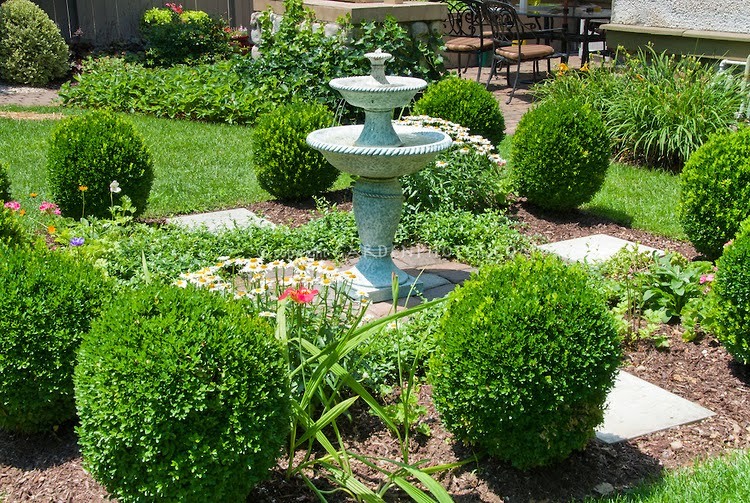 Today’s Wednesday Randomness blog is about our dream yards. This blog was a lot fun because I got to search for pictures (and maybe I did some of that at work…shhhhhhhh), but I seriously had to reign myself in. When I picture my backyard, I see an English garden. And let’s be honest, I see myself in the cottage, too. I love the wildness of an English garden. And in that yard/garden, I would need to have an extremely comfortable place to relax, read, and drink tea. 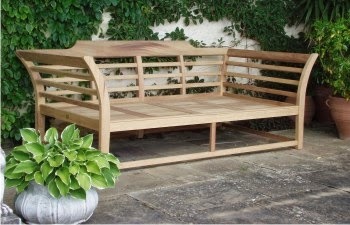 Something like the bench below, but full of big, squishy pillows. 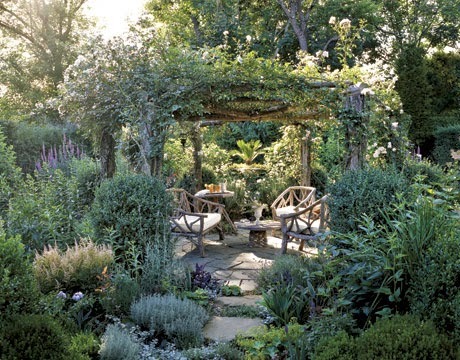 That bench would need to be nestled under an arbor covered with plants and vining flowers. Next to my arbor I would really like to have a fountain. The water sounds would just add to the relaxation aura of the whole space. 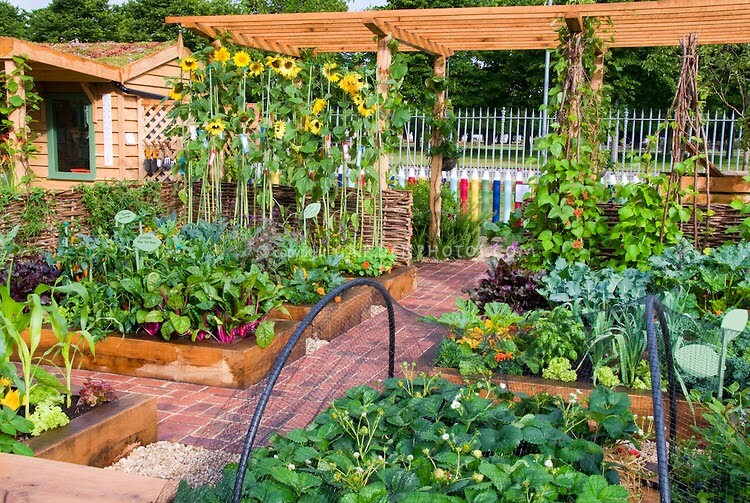 The last item of my dream yard would be a fantastic vegetable garden. Something where I could grow all my vegetables for the whole summer. Of course, along with all this I would also need to have a gardener to tend to it, because while I have managed to grow tomatoes and impatiens in recent years, that’s the extent of my ability. And let’s be fair, those grow themselves, really. I love the bench! There's one on a trail here (yes, in the trail!) that looks like a book that's open! It's awesome. 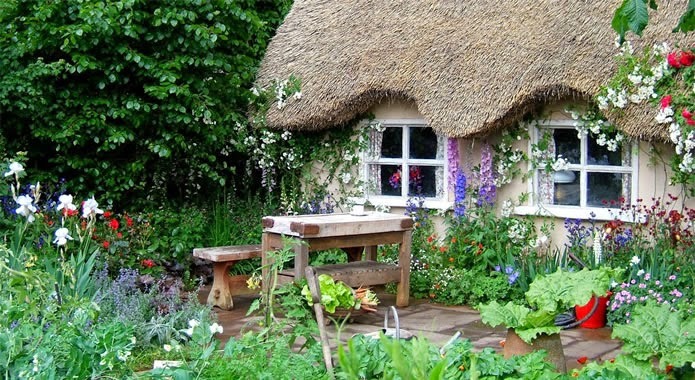 Love the English cottage, too. One day I will live in a cottage.